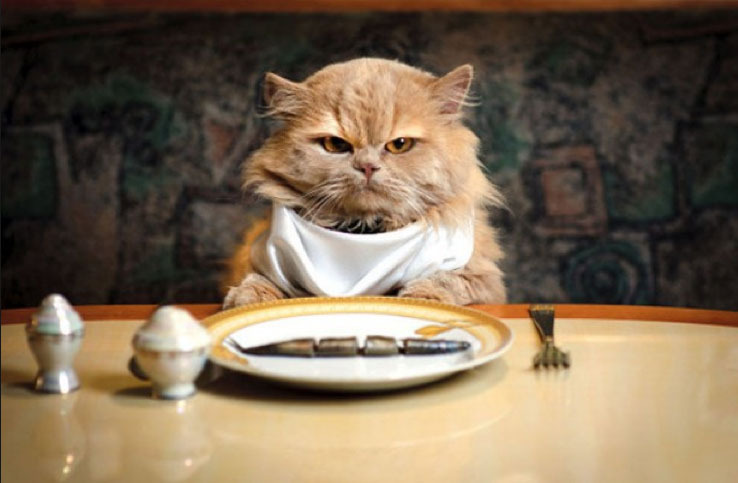 When your cat stops eating or starts eating less it can be a cause for concern. Before you start worrying, take a look at some of the simple things that could be putting your cat off their food. Firstly check that their bowls are clean, why would they want to eat out of a dirty bowl, just like us, they wouldn’t. Cat dishes should be washed at least once a day if using dry food and after ever serving if using wet cat food. Left over food allows bacteria to grow which can be harmful to them. Consider where you place their food for example, don’t place their food near their litter tray, it’s not hygienic and you wouldn’t eat your tea in the bathroom, so why should they eat near where they do their business. If you feed your cat dry food, try changing it more frequently especially in a humid environment as it absorbs water, making it soft and the change in texture could be putting your cat off. Sometimes cats like a bit of variety so you could always try adding a bit of wet food to their diet since they could just be bored with the taste and texture of the crunchy dry food. If you’re not using dry food but wet food straight from the fridge it won’t be that appealing to your cat because of its cold temperature. This means it won’t smell as much as does at room temperature. Cats are like us, the sense of smell is closely linked to the sense of taste, so if they can’t smell it, they won’t really taste it either. Try warming it up with a quick buzz in the microwave. If they’re still not bothering with the wet food try adding a few biscuits on top to vary the texture. Think back to when your cat started being fussy and see if you can think of any changes you made at that time. Have you accidentally bought a different favour of dried cat food, for example tuna instead of chicken or maybe bought meet in gravy and not jelly? It’s not uncommon for cats to have less of an appetite when the weather is hot, so if your cats not eating as much when the temperature rises, don’t be concerned about this, just make sure they have plenty of water. If your cat loves playing outdoors, it could be that they’ve been stuffing themselves on what natures provided for them and they really don’t need another meal. Also they may be being fed by someone else. If you suspect this add a tag to your cats collar so the mystery feeder realises your cat isn’t a stray. There may be a more sinister reason why your cat isn’t eating, such as they may be feeling unwell. If they’ve not got better after a day or so consider calling your vet for some advice. Also if your cat has any problems with their teeth or gums then this will also put them off their food, it’s important to deal with the issue of your cats oral care, you can get granules to sprinkle onto their food to help prevent plaque, but it’s also important to get your cats teeth clean regularly too.